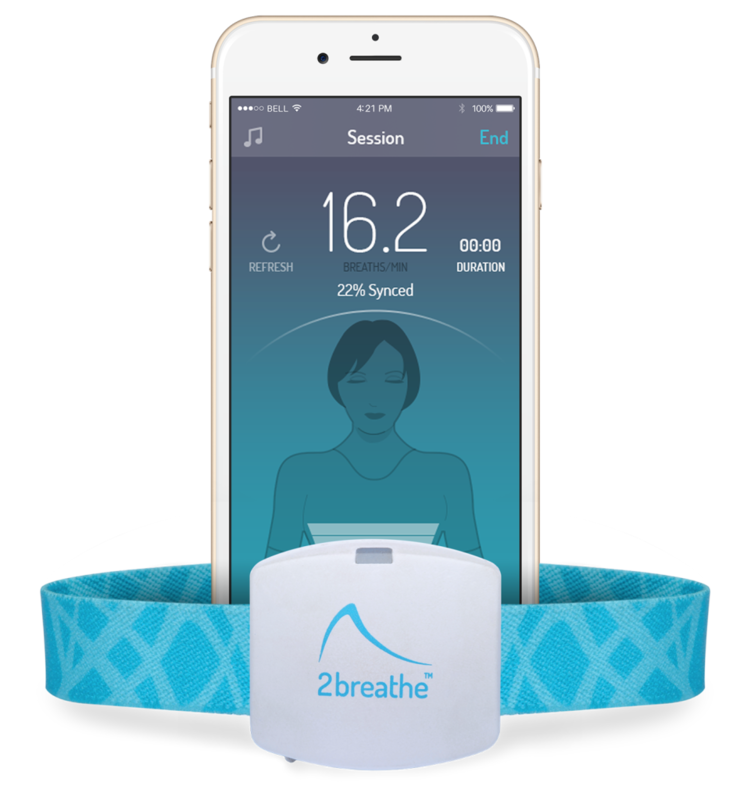 2breathe is an American manufactured smart device that helps you sleep better and relax with its calming effects and breathing exercises. This device, along with the guiding mobile app, work to put your mind at ease and improve your health. With Big Apple Buddy’s personal shopping service, you can now buy direct from the 2breathe online store anytime, anywhere. 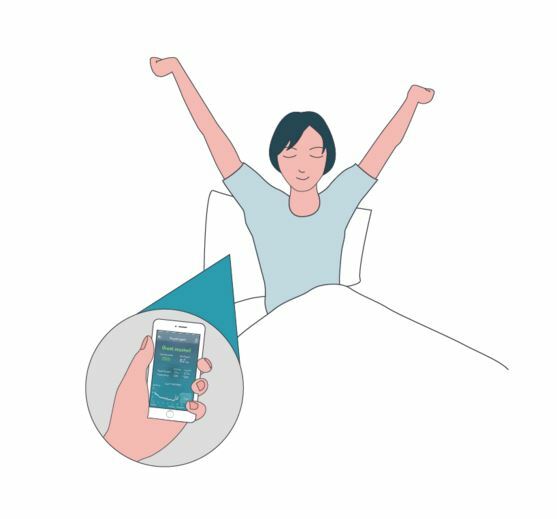 The 2breathe smart device and app facilitate breathing exercises during your sleep so that your mind and body can finally relax. It combines meditation, yoga and mindfulness techniques that are hard to do on your own and does all the work while you rest. Make sure that your racing thoughts slow down for the night and enter the world of mindfulness mediation. Have you tried everything to get a good night's sleep? Don't rely on sleeping pills - the 2breathe technology provides a healthier and more reliable approach! It works with your body to reduce insomnia and give you more energy for every day tasks. This highly-perfected breathing synchronization is happening subliminally so you're not even aware of the changes and can lose yourself in some much deserved sleep. A lack of deep sleep is often related to hypertension, which makes the 2breathe extremely important for your health. 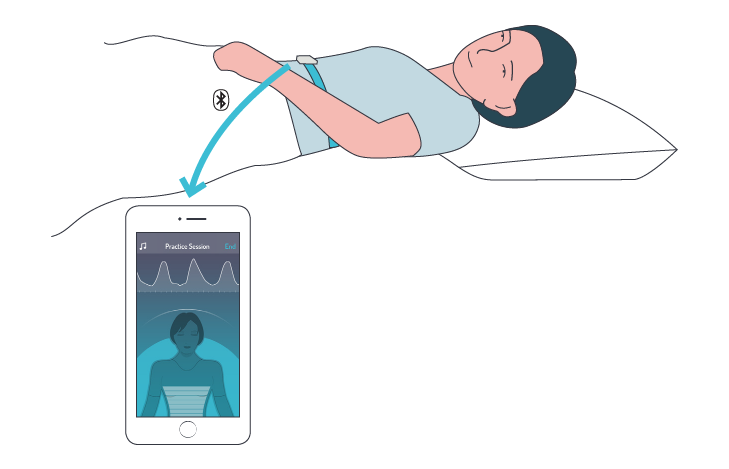 It is constructing your guiding tones in real-time so that the device learns how you sleep, gives you feedback, and adjusts to your night pattern in order to incorporate successful breathing techniques. The 2breathe is interactive but not obtrusive! Unfortunately, the USA 2breathe online store does not currently offer international shipping. However, Big Apple Buddy, your personal shopper, can help you buy products direct from the official USA 2breathe online store and ship them to your doorstep, no matter where you are in the world. We offer international shipping to over 110 countries including Australia, Austria, Azerbaijan, Bahrain, Belgium, British Virgin Islands, Brunei, Bulgaria, Canada, Chile, Costa Rica, Croatia, Czech Republic, Denmark, Estonia, Fiji, Finland, France, French Polynesia, Germany, Gibraltar, Greece, Greenland, Hong Kong, Hungary, Iceland, Indonesia, Ireland, Israel, Italy, Japan, Jordan, Kuwait, Latvia, Liechtenstein, Lithuania, Luxembourg, Macau, Malaysia, Maldives, Malta, Marshall Islands, Mauritius, Monaco, the Netherlands, Netherland Antilles, New Zealand, Norway, Oman, Poland, Qatar, Romania, San Marino, Saudi Arabia, Serbia and Montenegro, Seychelles, Singapore, Slovak Republic, Slovenia, Spain, South Africa, St. Lucia, Sweden, Switzerland, Taiwan, Thailand, the UAE, the UK, Vatican City, and Vietnam. If you would like to buy from the USA 2breathe online store, simply let us know which items you would like to order (by filling out the form below) and we’ll get back to you with a free international shipping quote within 24 hours!